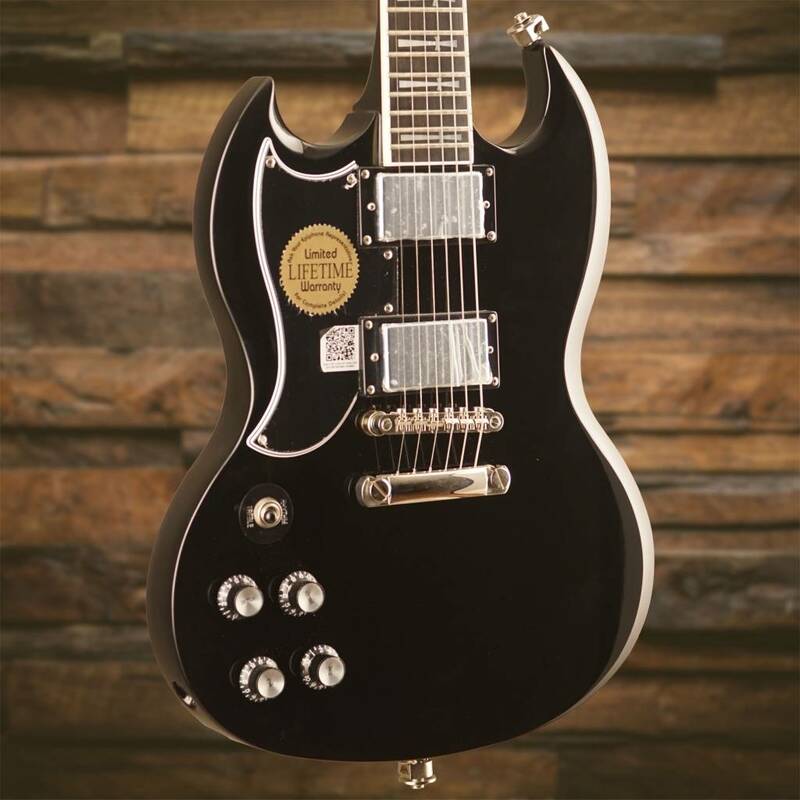 The “Godfather of Heavy Metal” reinvents the “SG”! 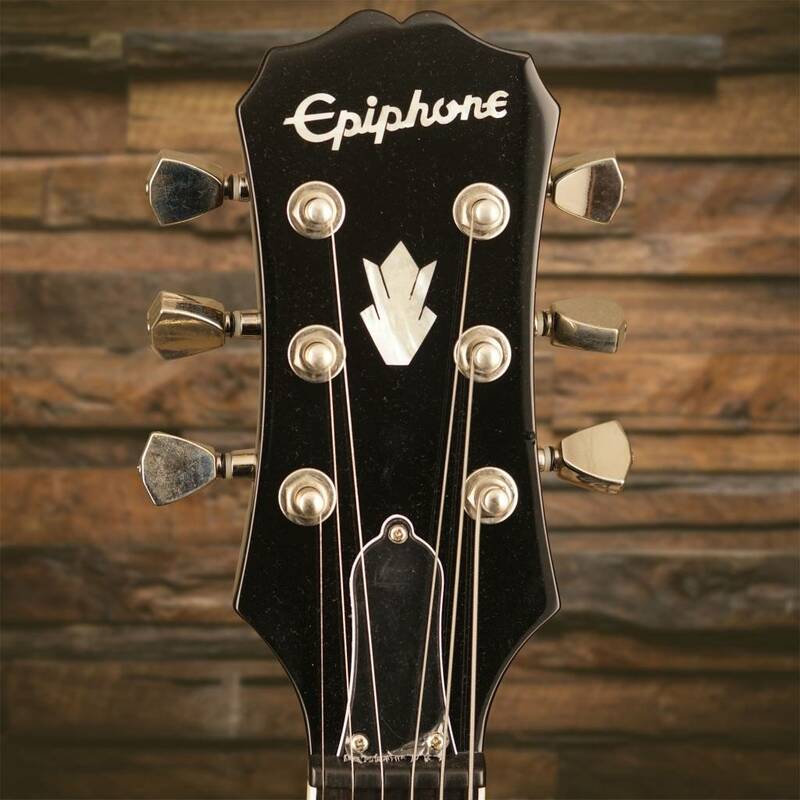 Epiphone proudly announces the all-new Epiphone Ltd. Ed. 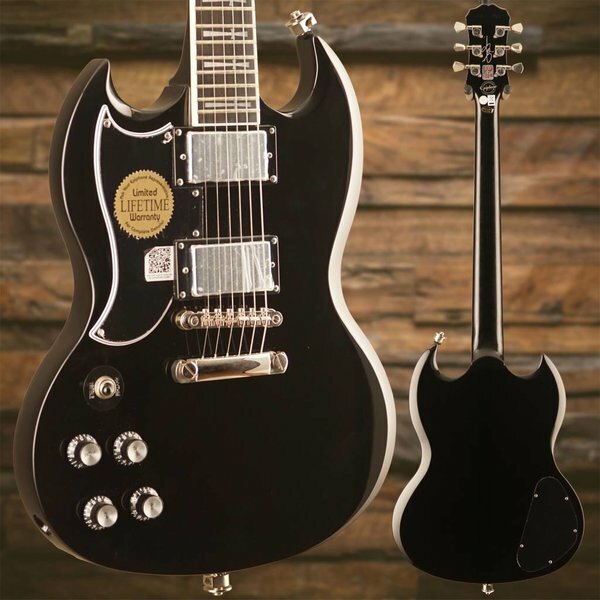 Tony Iommi Signature SG Custom, designed by the “Godfather of Heavy Metal” himself and featuring Gibson USA Tony Iommi Signature Humbuckers, a 24-fret Ebony fingerboard, and a beautiful Ebony gloss color finish. 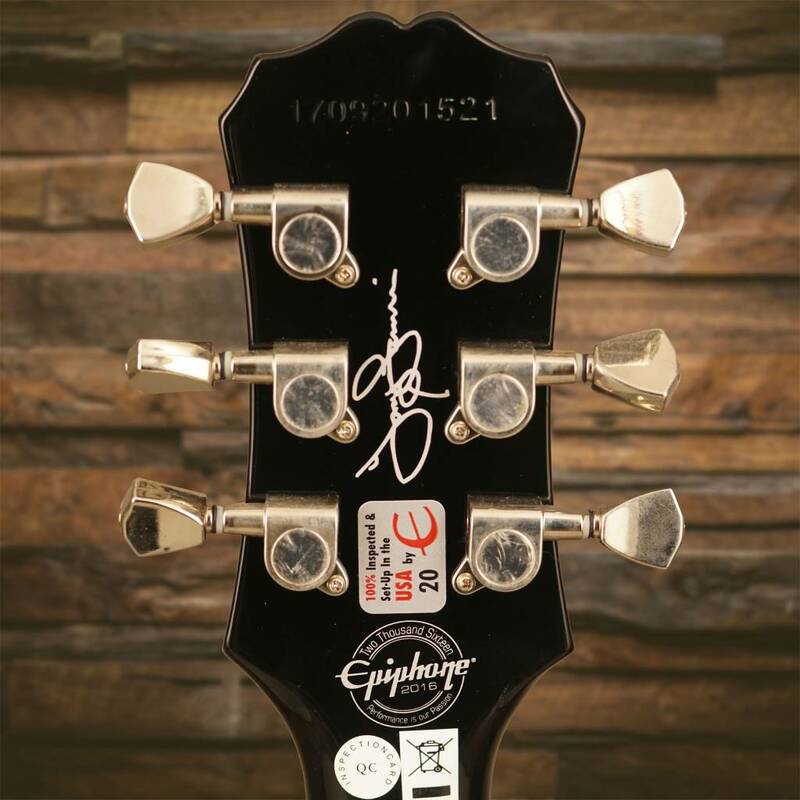 Tony Iommi is every guitar player’s hero. He’s not just the “lead guitarist” of Black Sabbath. He is Black Sabbath. 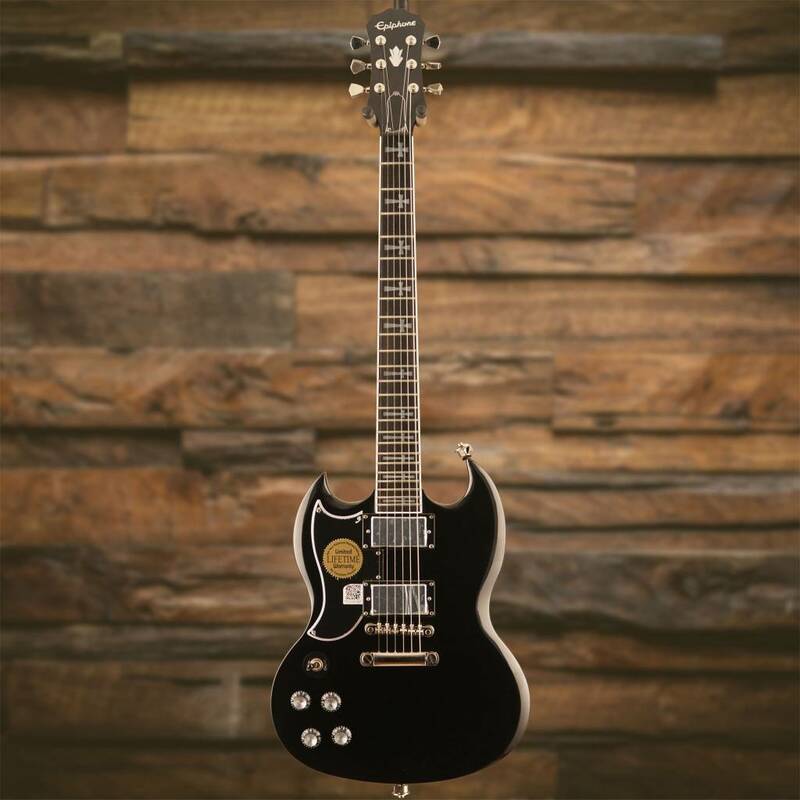 Black Sabbath was inducted into the Rock & Roll Hall of Fame in 2006 but he’s been every shredder’s idol since Black Sabbath’s debut in 1970. For 45 years as the band’s heart and soul and the originator of dozens of all-time classic riffs, Tony Iommi has helped to make the “SG” the iconic guitar for Hard Rock and Heavy Metal. Now, Epiphone presents a one-of-a-kind SG designed exactly to Tony Iommi’s specifications. 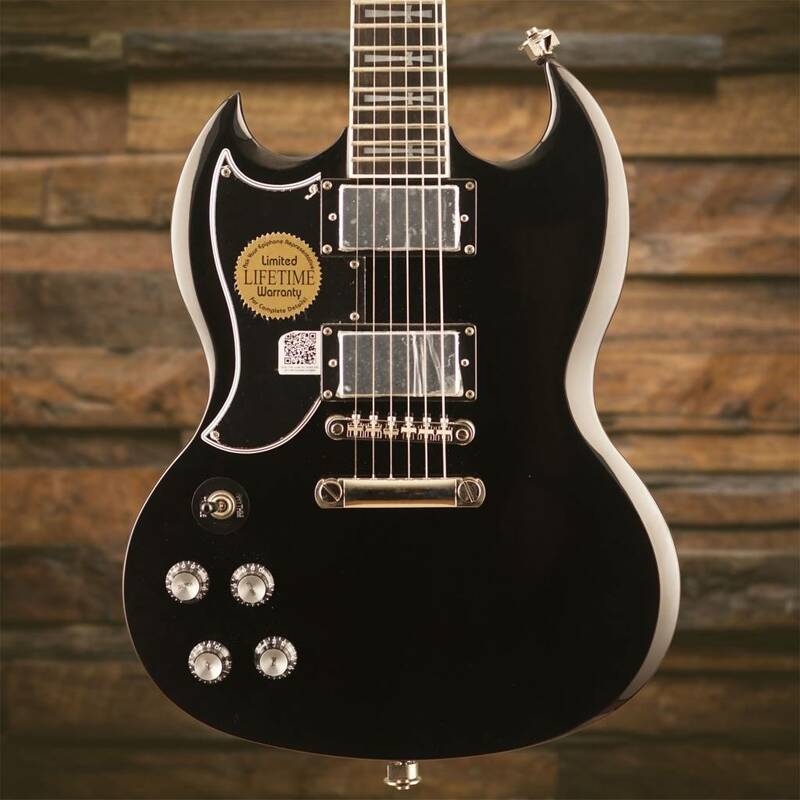 "This guitar sounds like I want it to sound on stage," said Iommi. "I play it at home in the studio as well. 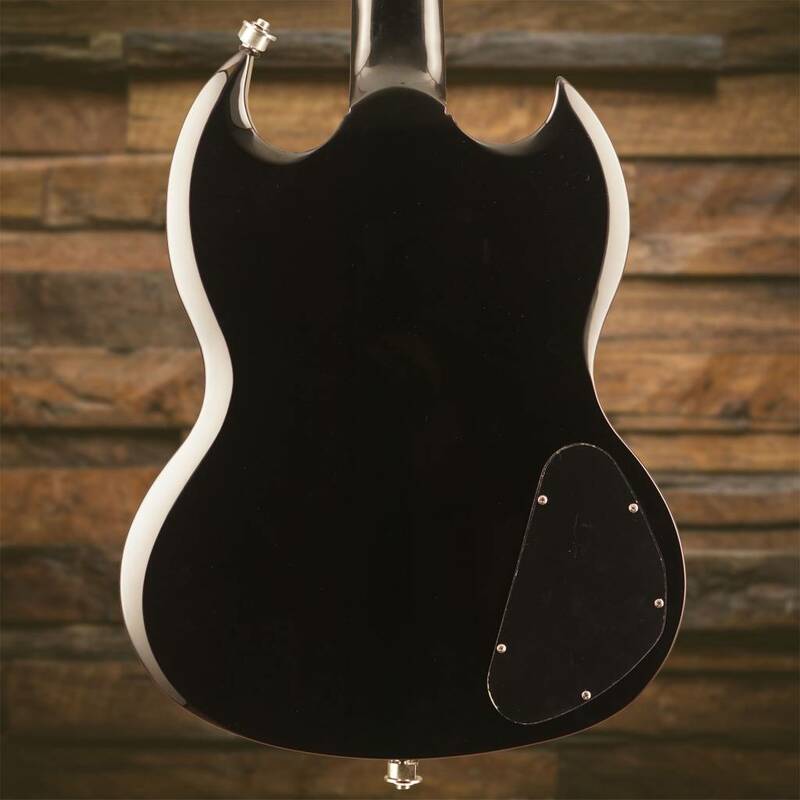 It uses my signature pickups, which we worked on for quite a while over the years. 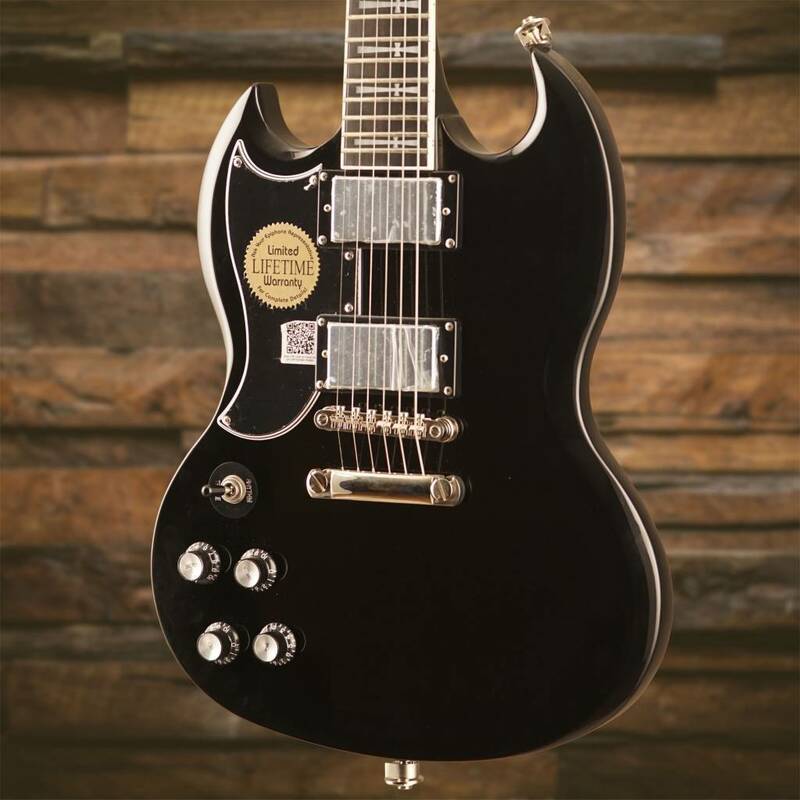 It's got a great fretboard with a really nice feel. 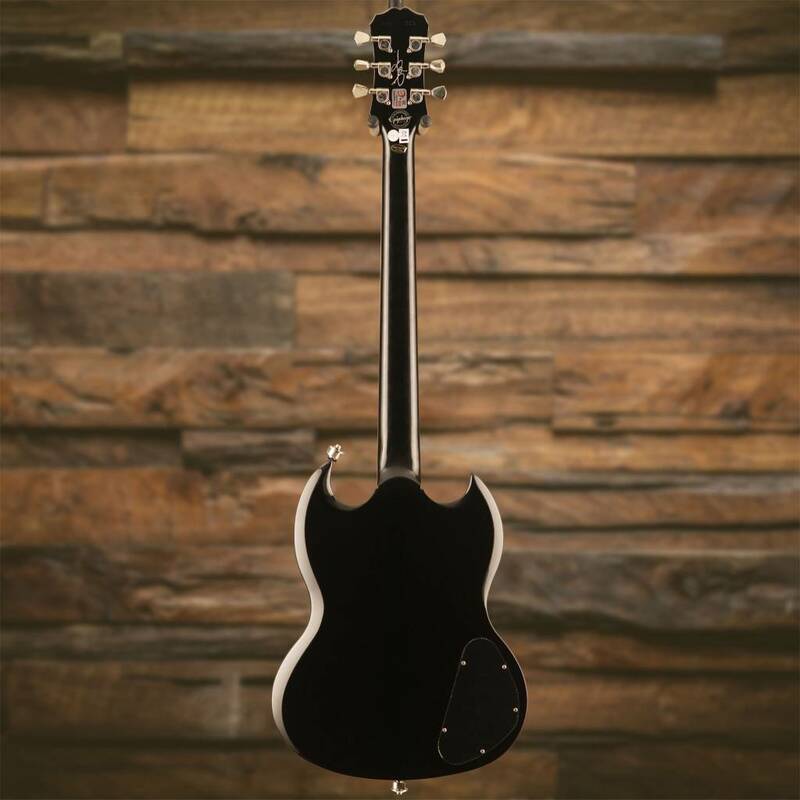 And, it's just a really classy looking guitar."